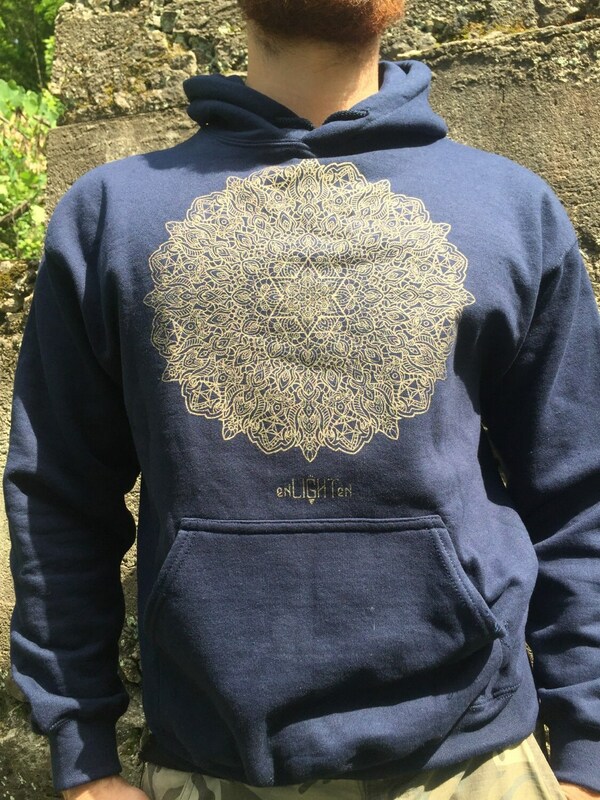 Elevation Hoodie. 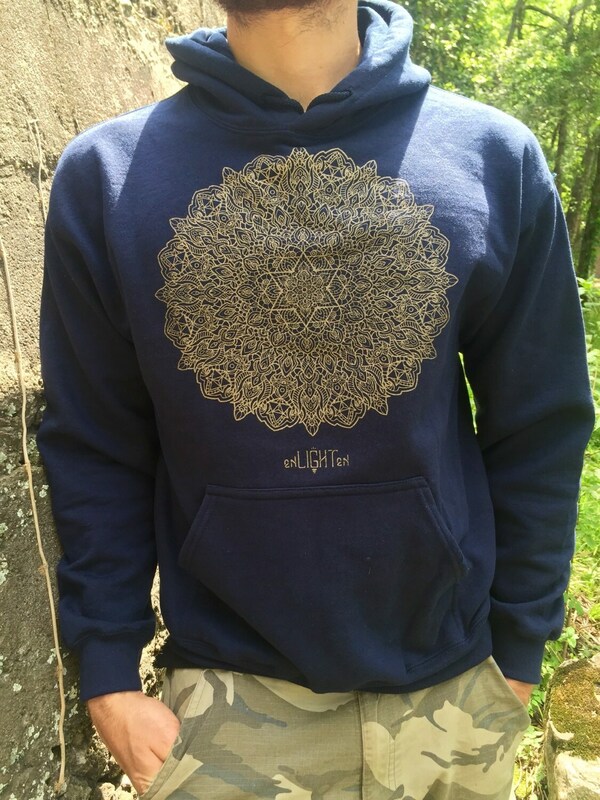 Hand Drawn By Travis Garner. 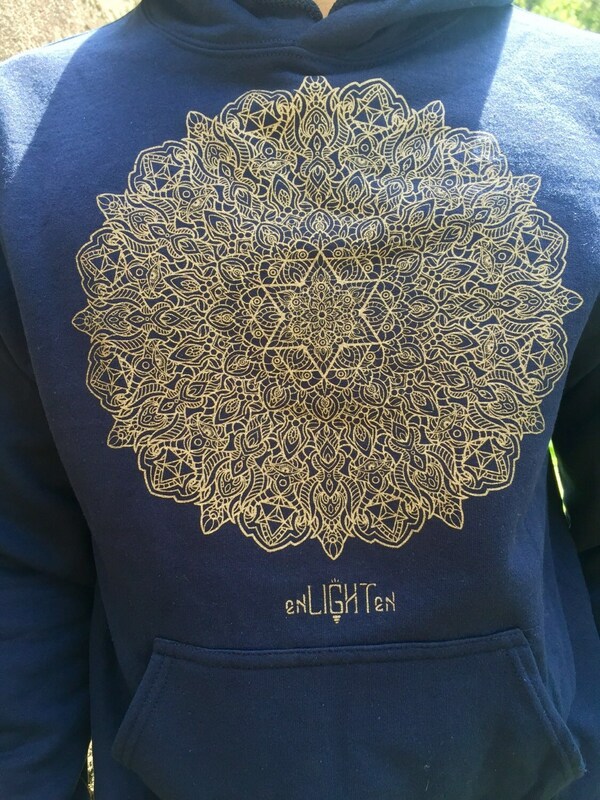 Sacred Geometry Clothing By Enlighten Clothing Co.
Hand drawn design by Enlighten artist Travis Garner! 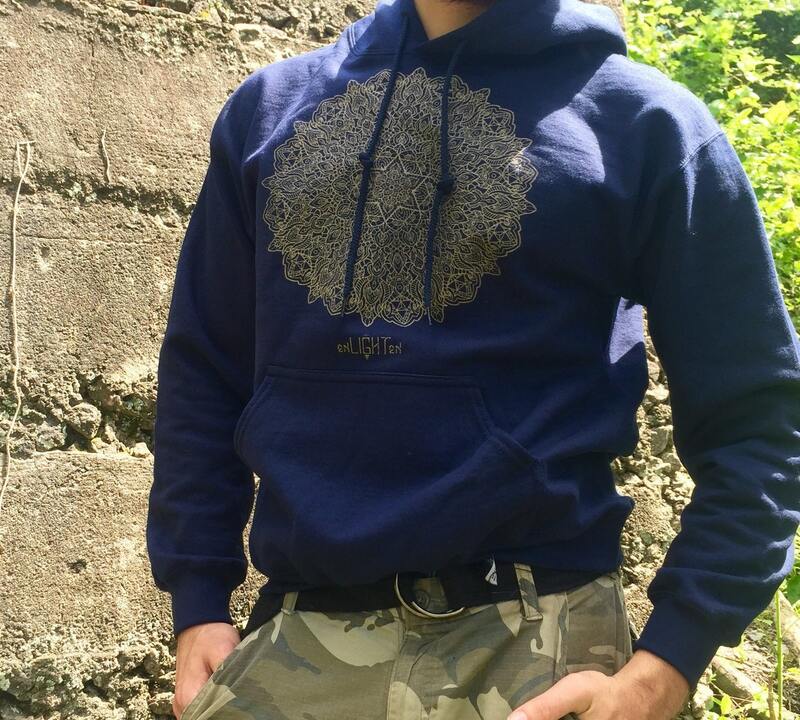 These midnight blue hoodies are fleece lined and very comfortable. 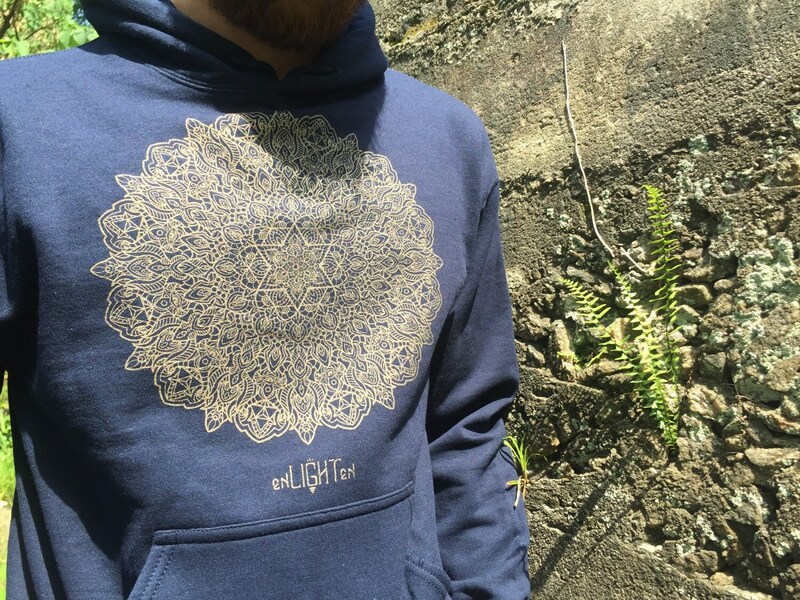 They are 50% cotton/50% polyester and are also pre-shrunk.